People think nettle (Urtica dioica) is a stingy, upleasant weed that grows everywhere. But the truth is nettles are very nutritious, full of vitamins, have brilliant medicinal properties and are brilliant detoxifiers. 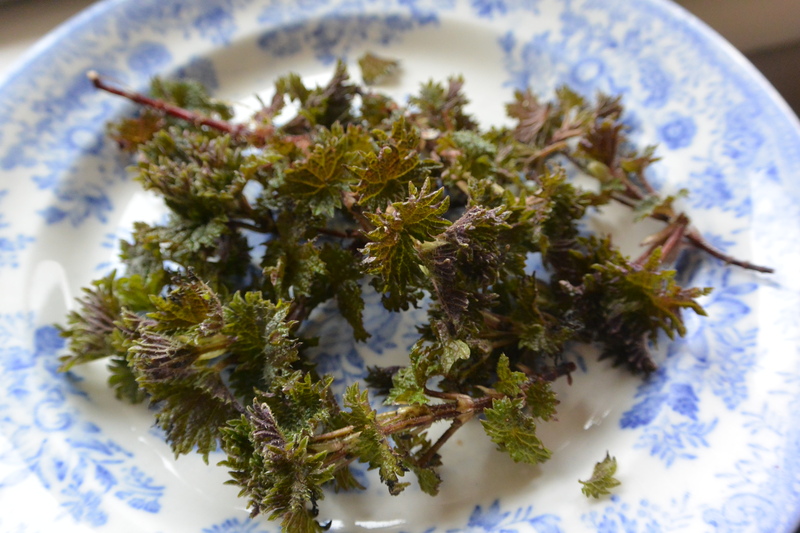 In fact nettles are my seasonal superhero. 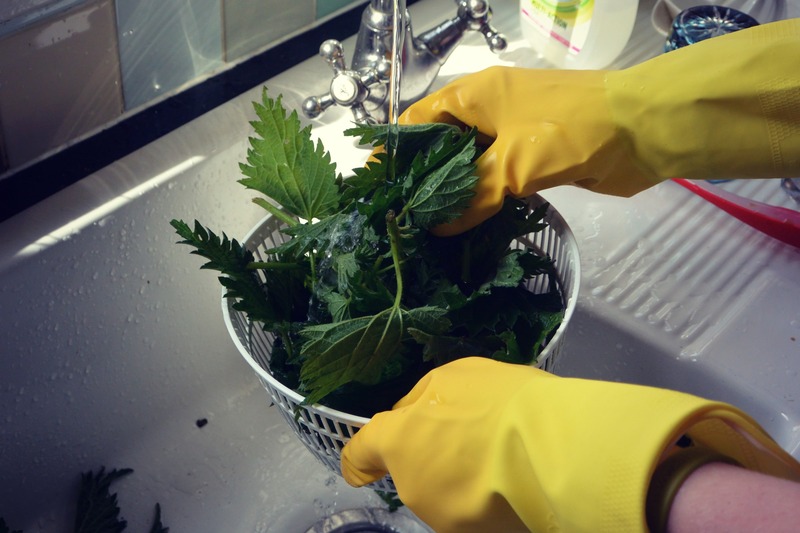 And as long as you wear gloves nettles are easy to harvest and prepare too. And they are free… And don’t worry, they won’t sting your tongue! Stinging nettle is: diuretic, astringent, pectoral, anodyne, tonic, rubefacient, styptic, anthelmintic, nutritive, hermetic, anti-rheumatic, anti-allergenic, decongestant, expectorant, anti-spasmodic, and anti-histamine, anti-lithic/lithotrophic, herpetic, galactagogue, and an anti-histamine… Not bad for a weed! 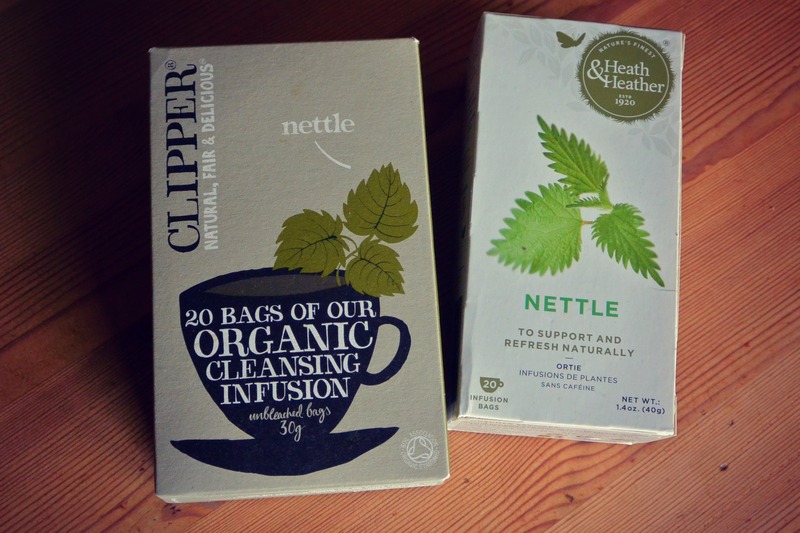 In case you don’t fancy picking and drying your own nettles you can opt for the easy option – Scoop Wholefoods stocks nettle tea and so does Healthcraft. And if you feel tired or your body needs a boost I’d recommend trying to add nettle in you morning smoothie. It will definitely not make it look attractive but I like the taste and I think you can almost feel the energy running through your veins just smelling the mix. 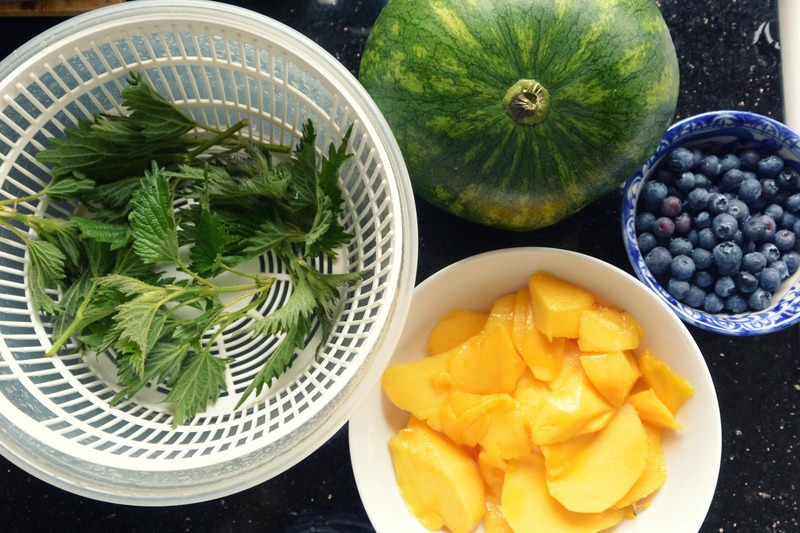 My favourite combination is mango, watermelon, blueberries and nettle. And guess what – your plants will love nettles too. 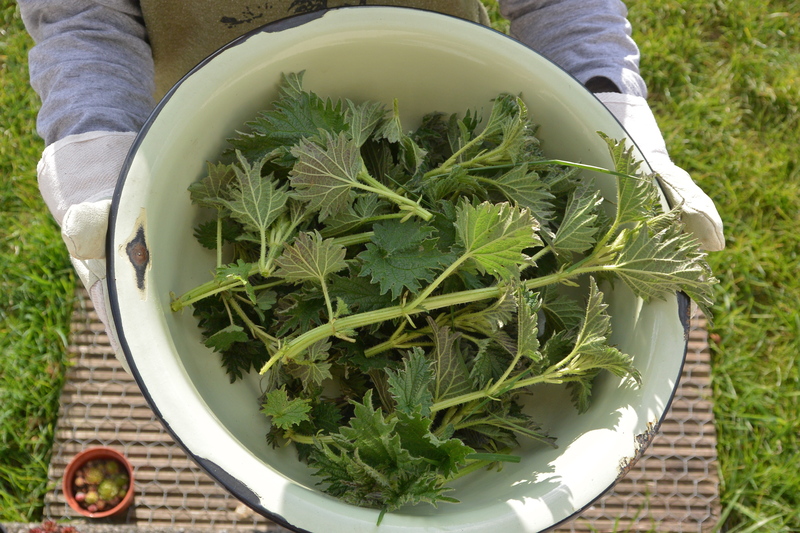 To make a brilliant fertiliser with good amounts of nitrogen, iron, magnesium and sulphur simply put freshly cut nettles (remove roots) in a bucket, use a large flat stone to keep the foliage down, fill it with water and leave it to ‘brew’ for a few weeks. But I need to warn you – the solution smells really unpleasant and you certainly don’t want to get it on your hands or clothes. Alternatively you can use the plants to activate your compost. 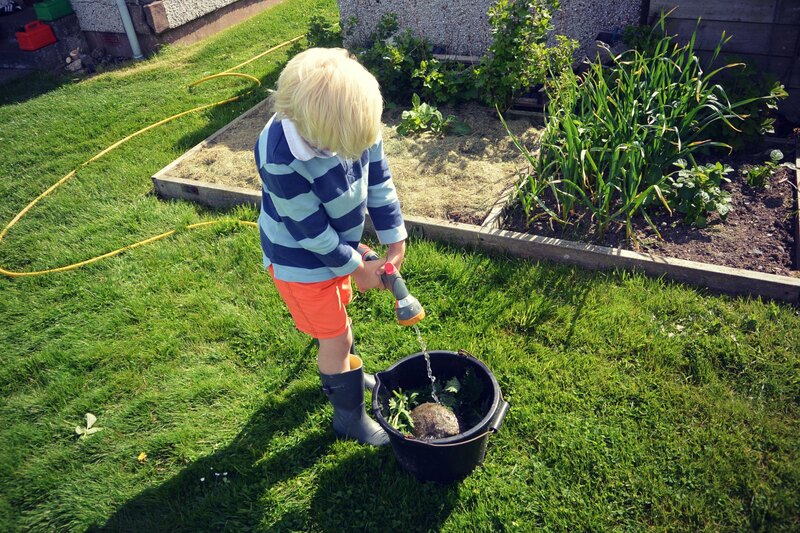 – How to use it: Mix the solution with water in a proportion of 1 : 10 (one part nettle solution to ten parts water). Pour the solution directly at the base of the plants where the roots will have quick use of it. – This “tea” is meant as a supplemental feeding for plants that have a high demand for nourishment, such as tomatoes, leeks, brassicas, cucumbers and courgettes. 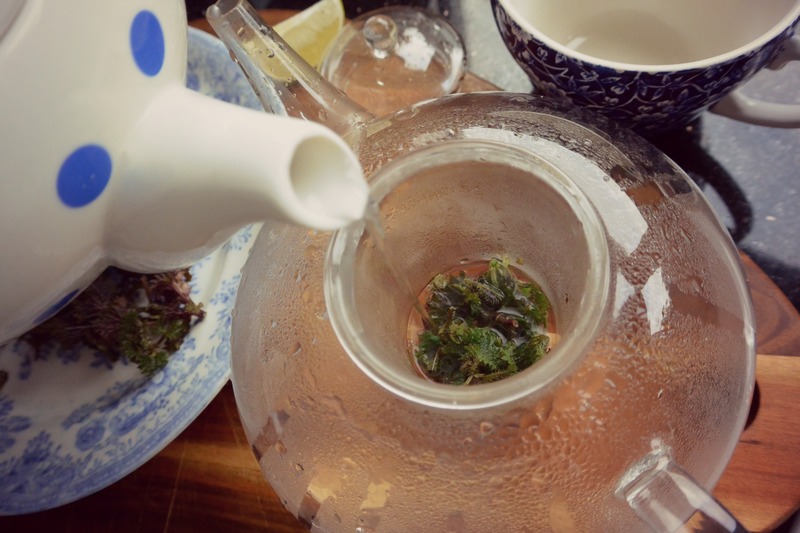 There are other things that will appreciate the stinging nettle tea: fruit trees and bushes, roses, annuals and perennial flowering plants.